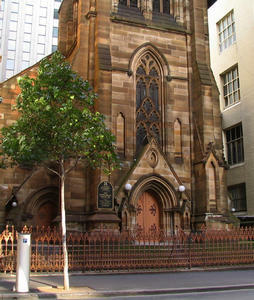 A Presbyterian church in the centre of the city of Sydney. The church is currently mostly covered by scaffolding for repairs to the stonework. Please note the entrance through the front gate in the adjacent photograph! Copyright © 2019 St Georges Presbyterian Church of Eastern Australia. All rights reserved. Terms and Conditions.